This article was written by Norman De Silva. Coach De Silva is currently the assistant coach of the Foshan Lions in the Chinese Basketball Association. 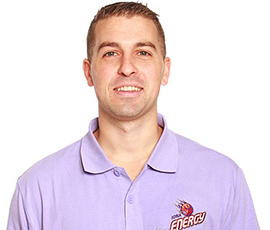 Coach De Silva has served as an assistant coach for two years in the NBDL with the Iowa Energy and the Utah Flash. Coach De Silva has also worked as an assistant coach for three years to Mike Procopio at Attack Athletics. At Attack Athletics he developed NBA players, players preparing for the NBA Draft, overseas professionals, and division one college players. The biggest challenge in basketball coaching today is undoubtedly, the player who doesn't know what he is. Conversely and less frequent, is one of many challenges for players today - the coach who does not know what he is. It is one of the most difficult tasks to ask of any one person: honestly evaluate yourself, with respect to reality - complete understanding as to what you're currently capable of as well as what you're potentially capable of in the future. Although it is human nature to have supreme faith in oneself, this alone, if not in touch with reality, can make or break a player and also a coach. Opposite of human nature is the doctrine of self depreciation and training yourself to think you are less capable and inferior in the name of humility. This form of thinking can prohibit fulfillment of a player or coach's true potential. A player or coach's maximum level of success depends on his ability to recognize what they can and cannot do, and subsequently maintaining that exact efficiency level as best possible (until your ability improves or declines at which point you must again reevaluate and readjust your role and output). Pushing for more will certainly start to have an inverse effect on your long term success in the same way that asking less of yourself will. Sometimes "less is more" and "more is less". It is also very important to always keep in mind the difference between short term and long term success because they are often very different. No matter how good of a player you think you may be, no player has ever won a game by himself (in 0.001% of NBA games has a single player outscored an entire team opponent; not to mention defending 5 players by yourself). By saying this, I am not trying to devalue the individual and propose that the individual must always sacrifice himself for the greater good of the team. A team is simply that; a collective group of individuals. Without the value of a single player, the value of the whole ceases to exist. The best interest of the player and the best interest of the team are always compatible. The best interest of the team does at times call for certain individuals to do "more" than others due to their capability. It also calls for other individuals to do "less" than their teammates in certain areas. That being said, the definition of more or less is always relative. The need for more production from a player might mean shooting a lower percentage. The need for play-making might mean accepting more turnovers. Less playing time might mean a greater leadership role in the locker room or proving your ability to accept a role thus increasing your market value. The problem arises when all individuals think that their best interest lies in the same (short term) formula of high statistics, leadership, playing time etc. The challenge is to look at your long term success and weigh your best interest in honest terms. Are you more valuable as a starter on a terrible team or a role player off the bench on a great team? What avenue will allow you extend your career, increase your value and win championships? All great players have a chip on their shoulder and have a sense of confidence that can be difficult to deal with, but it is also true that if, in fact, they are great players, they have earned that right. Coaches will say that you have to treat each player equally. I would whole heartedly disagree. If I provide X amount of value to the team, I should not be subjected an arbitrary Y value of work. If you have a 5th grade math student who can easily do 9th grade work, do you subject him to 5th grade exercises? If your top salesman out-sells your lowest salesman 10 to 1, do you give your top salesman the same training as your lowest? No. Each player is different with different needs and personalities. Each player also earns and demands different levels of respect based on history. If a player works hard to build his reputation, don't punish him for it by treating him the same as someone who has a track record of the opposite. Reward players for their history of hard work or value. Hold accountable those who have a poor history. And be skeptical of those who have no history with you at all. Never predetermine what someone is or isn't but also never forget a player's reputation with you. In business, companies have reputations the same way players do. It is efficient that way. If I want a safe car, I am buying a Volvo. If I want to do an important deal, I'm not doing it with Enron. You don't treat each company equally; you do the deal with a company you trust. When I see a player make a mistake, I don't treat him the same as every other player. Has this player made this mistake repeatedly or is it his first time? Does he have the personality to handle a harsh punishment with a level head or does he not? Is he so valuable to the team's success that punishing him will hurt the team more than it helps in the long term? Is this player more valuable than the problems he presents? History is important. Treat players according to the treatment they earn. Some will break, some will hold together. Some offer more immediate value, some offer less. If I do my job every day and play 40 minutes a game, I should not be asked to run or lift the same amount the next day as a player who plays 5 minutes. Dictatorship is easy; Democracy is difficult. For a team to maximize its productivity, players must know and accept their workload on that team in respect to statistics, practice, leadership, off-court life, locker room life, etc. Most talented players today over value their own importance. This most always leads to the demise of not only the team but the individual himself. By the same token, an effective role player cannot reach success without an honest evaluation of himself and his role that maximizes the team's potential. Delusional players will either disrupt team chemistry and hinder success or will have been let go from a successful team long before they reach success. Every player reading this, just now said to themselves, 'but I'm not delusional, therefore this doesn't apply to me'. I challenge you to name one delusional player who openly admits he is delusional. It is extremely difficult to question yourself honestly and come to an unbiased opinion. The easiest thing in the world is to blame someone else; the hardest is to blame yourself - if you deserve it. Coaches are held to the same standard. In order for a team to be successful, the coach must evaluate his role honestly and accurately. The role of the coach changes with every team any time the pieces of that team change. A coach must never over value himself or under value himself. A team with 5 NBA All-Stars on it requires a coach to have a very different role than a coach with 0 NBA All-Stars. As a coach you may need to take a "lesser" role on a talented team than a non-talented team. Less or more is a matter of relativity. Less X's and O's might mean more management of players. Less talent might mean more player development. More size might mean a change in your philosophy. It is much more efficient and effective to change the decisions you make as a coach than it is to change the make-up of players who have been molded into what they are their entire life. You can certainly change the make-up of a player in certain terms but that is a long term project best dealt with in the off-season or seasons. A coach that can adapt to the needs of his team is just as important as the player that can adapt to the needs of his team. There is no exact definition. The only judge is reality. In a perfect world or a level playing field, this is easy to discern. A delusional player is one who believes they are worth X amount of points, assists, rebounds, etc. but consistently retains Y amount of the aforementioned statistics. This could mean one believes they are worth 8 rebounds per game but they consistently only retain 5. This could also mean that one believes they are worth 8 rebounds per game but they consistently retain 12. In the first case, the player over values himself, and in the second case, the player under values himself. A delusional player is not always the "selfish" one who thinks they need more. It can often be one without the confidence or self awareness needed to reach their full potential. It is an important job of the coach to diagnose both types of players and properly handle both. Unfortunately, almost every situation is imperfect: no coach is perfect, no system is perfect, some teams have more talent than others, some teams play a more difficult schedule than others, there are injuries, some players are better suited playing a certain style or pace etc. In the more realistic, non-level playing field, a delusional player is only delusional relative to the judge. If a coach, system, statistician, teammate, or media is biased, the "delusional" player must be investigated further and more meticulously. It must then be decided after weighing every outside force, if the player is delusional. In many cases, the player is delusional about his self worth to the team and his needed value in order to achieve victory. In other cases, the coach or circumstances are false, due to a many number of reasons which can only be discovered by himself or ultimately by management. In reality, each player is not a pawn in a chess game that has an exact value and knows his exact limitations. As a coach, it is our responsibility and job to use whatever means we see fit, to ensure that players can see reality as it is. Coaches may often refer blame to the individual or individuals on a team that do not understand or accept their role on the team, but unfortunately for him, that is indeed the job of a coach. In a perfect universe, each player you have, completely and honestly evaluates himself, his ability, and where he falls into place with the current team. Due to the human nature of desire and will to be great, this is never the case. Instead of blaming human nature, use it to your advantage. It is always true that what is in the self interest of the individual is always in the interest of the team. Explain to players how playing a role on a winning team is much more valuable to themselves than playing a slightly more prestigious role on an average team. What may seem as common knowledge to you, may not be to the strong minded player who only sees short term success as his avenue forward. It is only through the assessment of long term effects and complete thinking that provide the ultimate path for true personal self interest. Playing mind games and manipulating players into thinking they have value that they do not, is only a short term fix which prolongs an inevitable displeasure or becomes a ticking time bomb that will surely disrupt team chemistry. Instead of telling a player to accept a role for the "good of the team", be more direct and honest; tell him why it is in fact in his best interest. Great scorers, and stars are easy to find in today's game. The most difficult player to find in today's game is the player who accepts a role and wears it completely, knowing full well that it is in his best interest. Role players at the highest level are often more valuable to a team than the star. It seems foolish, but a role player who knows what he can and cannot do is the long sought after dream of coaches at the highest level. "Good locker room guys", "defensive specialists" or "great practice players" are so valuable to teams that they often get overpaid in money and loyalty from the team just to ensure they stay with that team. Instead of telling a player about the "good of the team" (an oft overused phrase), convince them honestly why accepting a role is in their true best interest. This is incredibly difficult to do, but if you succeed, that player is a long term asset that will help you win much more than a player who is quietly disgruntled and a future problem waiting to happen. Players all have egos. They are human. But their egos will either make them great or destroy them. That is unless they can harness it with the help of a leader. Some sub-standard players have a chip on their shoulder and a sense of confidence that they have not earned and it becomes a hindrance. Your success as a coach depends on your ability to show this player their true value to the team as difficult as it may be for the player to accept. Sure its easier to tell them it is situational and will get better, but are you really addressing the issue? A great coach can show the player what they are, and also show them how they can increase their value as a player by playing their role successfully on a winning team. The examples are endless of players who played successful supporting roles on championship teams that went on to earn career salaries the next year or in the immediately following years. I have never heard of a "best supporting actor" Oscar award being turned down because they didn't get the lead role in their picture. Many people say the coaches job is just to keep everybody happy. If I feel I should be scoring 15pts a game and am only scoring 5, am I truly happy? Can you convince me that 5 points a game is in fact better for me than scoring 15 points a game at the relative expense of the rest of the team? Is my value maximized at 5 points? Can you show this player that the cost of him scoring 15 points per game will detract from the overall effectiveness of the whole team? Is keeping him happy a short term mask that he puts on until the false sense of value rears its ugly head angrily or subtly effect the team but cannot be seen until it is too late? Players can swallow pride for a while, knowing what the right thing to say is, but if they don't truly believe that their role is best for them personally, it will sooner or later disrupt the team every time. Some times, if a player cannot honestly come to terms with himself and his role on that particular team, the only option is to dispose of him. On the other hand, is the disgruntled player right? This is where the job of the honestly self evaluated coach comes into play. No coach has ever scored a point (with the exception of the long extinct player-coach). No matter how smart or effective you think you may be as a coach, you have never won a game alone. You need players to win. It may sound simple but never forget it. Coaches may be incredibly effective, but if you aren't, are you doing too much? The ultimate job as a coach is putting his players in the best positions to make plays. Players make plays. As a coach, are you trying to make plays yourself? Did you just decide to stop reading this because the possibility looms that you may have to be honest with yourself if you read on? Think about your disgruntled player or players. Is this player an over confident hindrance or is he as valuable as he believes but you cannot see it. Every once in a while, rid yourself of all your previous notions of a players value and start over as if you've never seen him before in your life. Never forget your history with the player, but sometimes reevaluate your history and try looking at it in a view you haven't thought of before. Is it something the coach is doing within his system and philosophy that is somehow holding back the disgruntled player? Coaches today without a doubt ere on their own side because it is easy. What isn't easy is to be completely honest with yourself and fairly re-evaluate the ability and value of each player on your team. Surely coaches are more often right than wrong in these situations, but are you? The possibility of being wrong always looms; no matter what job or industry you work in. Can you be completely honest with yourself, free of bias; in complete cooperation with reality. It is the most difficult thing for a player, and certainly the most difficult thing for a coach to achieve; complete honesty with yourself in every single situation. You might say this is obvious and that every coach wants to be honest with himself because he is trying to win. This is true. But just wanting to be something doesn't make you so. Just as every team wants to win but not every team does. Take this as a reminder to reevaluate yourself in this area. Take a hard look at what you do and the way you think. It is of utmost importance. It is your job. To the player who feels his coach is delusional (this applies to just about every player), my advice for you isn't as easy, seeing that the coach always reserves the power to "be right". Be honest with your coach. Have a relationship. Let your thoughts be known. It doesn't help to internalize things because they will never be resolved. Coaches give their thoughts an opinions out every day, every practice, every game. As a player, your thoughts aren't afforded the same platform as the coach's. In order to be heard or to make a change actually happen, you need to be proactive. Sit down with your coach every few weeks. The only way to make progress is through open conversation and debate. Don't take things personally. He may think you are right but you will never find out if you don't communicate. Embrace conflict. Some of the best and most effective player/coach relationships are the ones where they have heated and intense debate. Sometimes they have a love/hate relationship and frustrate each other often. The difference is that they can get through the disagreements because they are honest with themselves and they understand that they are both after the same goal. Conflict, if approached correctly, will always court an eventual better understanding and ultimately make productive progress. Unfortunately for the player it only requires one dishonest coach to sink a qualified team. In luck for the coach, he can work passed one dishonest player in order to achieve success. Remind yourself every day that, as a coach, you alone could very well be single handedly responsible for your team's failure. Most importantly for players and coaches both: Know that you indeed are immediately responsible for your team's successes and failures but keep in mind that you are only a singular part of those.